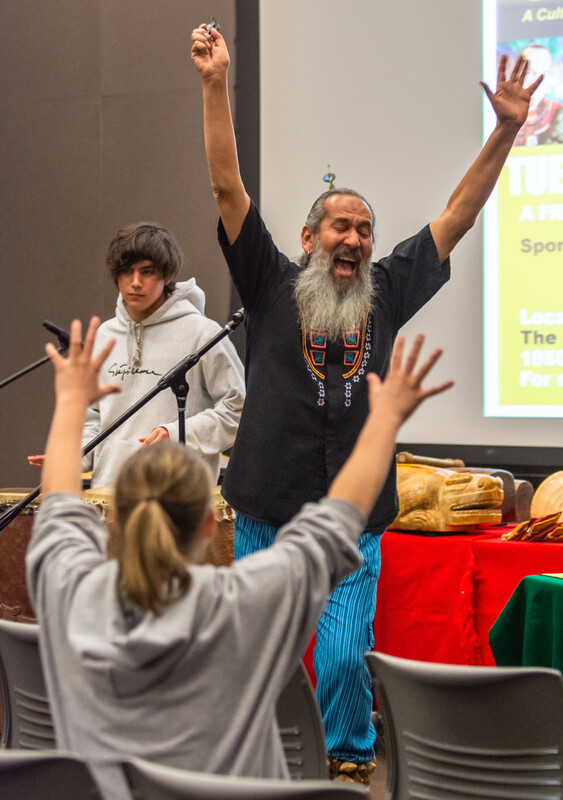 Aztec story teller Michael Heralda sings the Oceltol song at the University of La Verne’s Aztec Stories event. The song is about the jaguar, a strong symbol in Aztec culture. During the song, Heralda would play the Xolo flute. When he stopped, the audience had to make themselves big to scare away the jaguar.